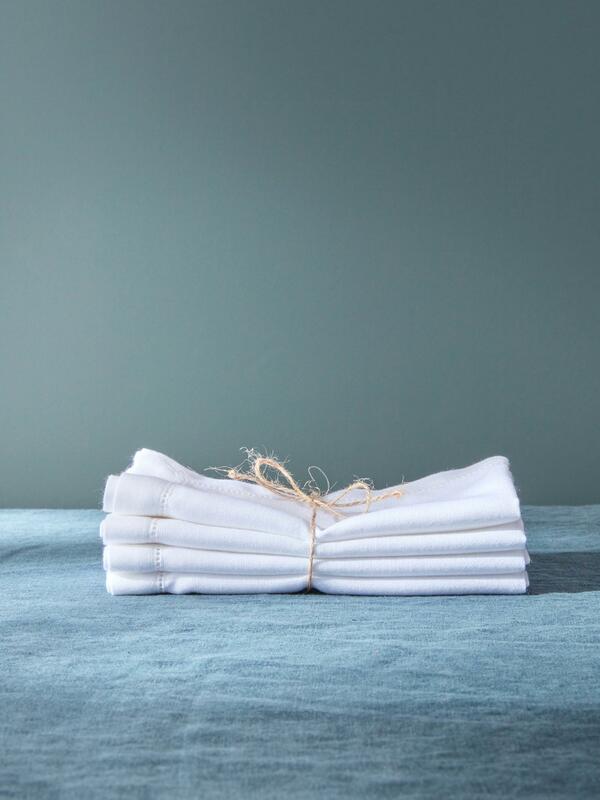 The look and feel of linen without the inconvenience: doesn't wrinkle and dries in a flash! These napkins have an anti-stain treatment will fool everyone. Size, 40x50cm approx. Pin stitch finish. Anti-stain treatment. Machine washable at 40°C.